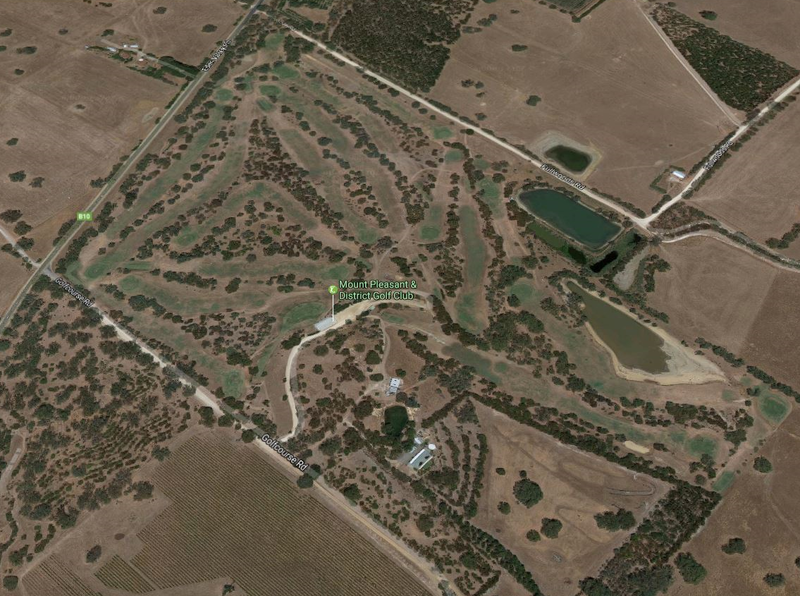 The Mount Pleasant Golf Club is located near Mount Pleasant in the Adelaide Hills. Just 10 minutes from Birdwood, 30 minutes from Gawler and the Barossa Valley and only one hour from Adelaide. At our picturesque 18 hole course you can enjoy a relaxing game of golf in a true bush setting. Kangaroos wander the course and bird watchers will be delighted by the wide variety of bird life attracted by our dams and creek. The course offers a good variety of flat and undulating holes with tree lined fairways and challenging greens and is an ideal course for golfers of all abilities. The course has watered greens and fairways, maintained by our greenkeeper and a willing group of volunteers. We offer a fully licenced club house which is open on weekends. Par is 69 for men and 71 for women. If Adelaide’s forecast temperature for competition day is 38c, the competition will be either postponed or cancelled. If you do choose to play non competition golf, please ensure that you take adequate water with you and it is also advised that you avoid playing between the hours of 11.00am and 3.00pm. In the event that this region (Mount Lofty Ranges) receives a forecast the evening before of catastrophic fire danger, the course will be closed. This means that any scheduled events will be cancelled. The Clubhouse, the course and all practices facilities are closed to all Members and Green Fee players on catastrophic fire days.